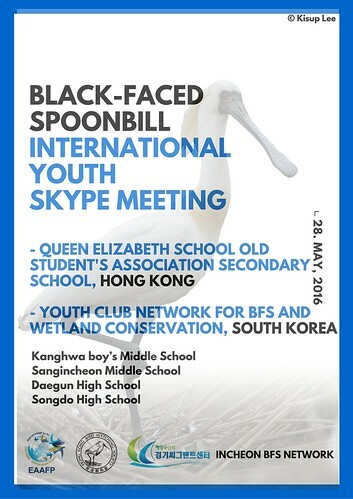 A ‘Black-faced Spoonbill International Youth Skype Meeting’ was held on 28 May 2016 between Incheon and Hong Kong. 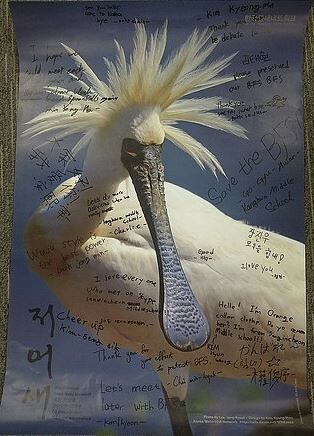 It was organised by the Incheon Black-faced Spoonbill Network, in cooperation with EAAFP, Hong Kong Bird Watching Society (HKBWS) and Incheon City Government. 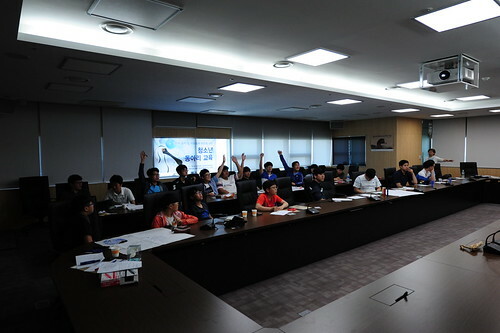 Four students from the Queen Elizabeth School Old Student’s Association Secondary School in Hong Kong and twenty-four students from four schools, Daegun High School ALC-FRA, Songdo High School, Sangincheon Middle School, and Kanghwa Middle School in Incheon participated. 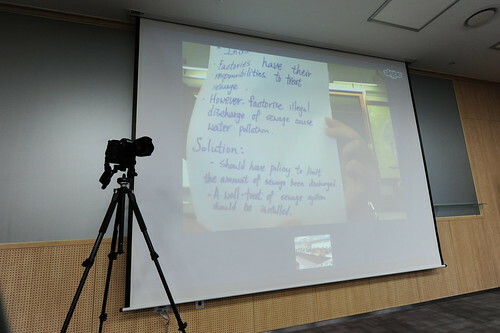 The Skype meeting was held as a part of an awareness raising programme, Black-faced Spoonbill Nature School, which provides opportunities for students in Incheon to learn about this symbolic bird of Incheon, Black-faced Spoonbill (BFS) and the importance of wetlands in Incheon. Ten schools and clubs joined the programme between April and June 2016. 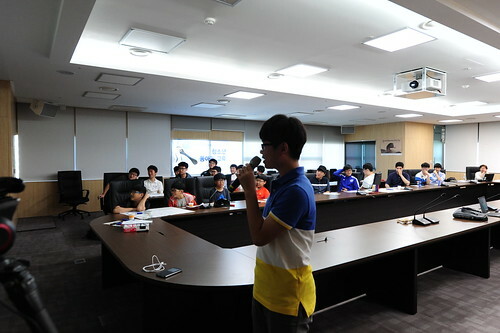 Staff and volunteers from the Incheon BFS Network and EAAFP visited the schools and delivered a series of lectures as well as conducting a field trip and organizing group works. The Skype programmes are especially designed to encourage middle and high school students to think internationally and become active in international conservation activities. This was the first Skype meeting for the BFS Nature School, and it was carried out in an informal and friendly atmosphere. Mr. Yat-tung Yu from the HKBWS and Ms. Nam from Incheon BFS Network gave opening briefings about the current status of BFS. Then students got together through an ice breaking game by teaching each other to say “hello” or “nice to meet you” in Korean and Cantonese. 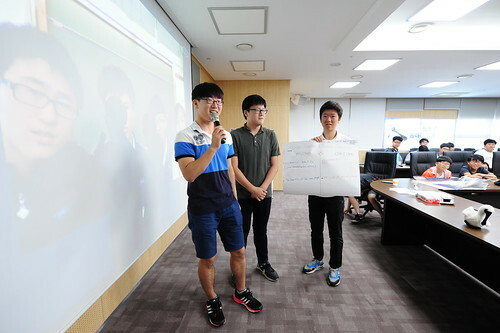 In the presentation session, students introduced about the plumage of BFS seen in each area, threats to the birds, and conservation activities students are participating in. Then they discussed and shared their thoughts on how to tackle the threats that were raised in the presentations, such as harmful fishing debris, pollution, development, and reclamation. The students from Hong Kong and Incheon interacted very actively, and the teacher of the Hong Kong school stated the importance of international cooperation for the Black-faced Spoonbill conservation and the need to continue such collaborative activities. At the end of the meeting, they promised to inform each other when the first BFS returns to their area and students in Hong Kong will look for the BFS nesting in Incheon, which is recognised by the colour rings on their legs. We need specific and feasible ideas to prevent pollution. Not vague ones! For the fishing debris issue, we need to raise awareness and change people’s attitudes. Also, we can designate important habitats for BFS as zones where fishing is prohibited, and set high penalties for non-compliance. For garbage in the Namdong Reservoir especially on the man-made island, we can remove this when the birds are not using the island for breeding. Conduct many eco-tours so that people will appreciate the environment. For industrial pollution, factories need to be responsible to treat their sewage appropriately. Using chemical fertiliser and pesticide is harmful for BFS. Government should promote organic farming. We should raise awareness of pollution in the habitats. To prevent unnecessary reclamation, we can list up the benefits that we can get if we don’t reclaim the area to compare with the benefit when we reclaim. In this caseconserving the biodiversity should be considered important and taken into account. A database on tidal flat monitoring would be useful to avoid the reclamation of the important tidal flats. Monitoring involving local citizens will be good. 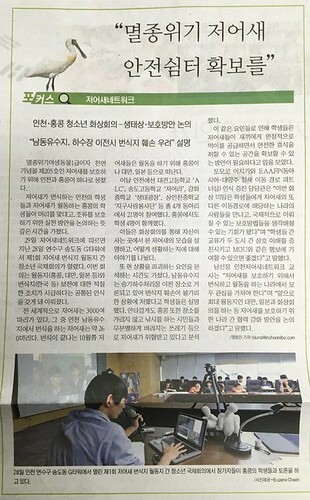 If a sewage plant is built in Namdong Reservoir and affects the BFS’s breeding as well as other species, biodiversity will be affected and we may lose the opportunity of getting international and domestic tourists visiting there. Collecting funds by using cartoon advertisement can be solution to promote conservation.